Another offshoot of the Sanremo-based Il Sistema, Celeste was founded in late 1972 by Ciro Perrino and Leonardo Lagorio, who was briefly a member of Museo Rosenbach. Their motive was not to recreate Il Sistemi, but rather forge a group with a more acoustic and classical feel. Rounding out the lineup were Giorgio Battaglia on bass and Mariano Schiavolini on guitar, the latter still a student in Sanremo. Their debut, Celeste, is also known by the title of the first track, "Principe Di un Giorno," and suffered a protracted release, as the album was reportedly written in 1973 and recorded in 1974. The opening track reveals an original mix of guitar and flute, offering something more akin to symphonic rock than anything folky. The Mellotron lines that open "Favole antiche" ("Ancient fable") recall King Crimson's first album, but the similarities end there; Celeste are as original and Mediterranean as they come. Gentle interplay between guitar and bass dominate the track, with flute and piano providing an ethereal, even "celestial" atmosphere. "Eftus" is softer, with the Mellotron and ARP sounding otherworldly; but there's a certain depth within, and one also accentuated by Perrino's gentle vocals and mostly drum-less percussion. "Giochi Nella Notte" adds horns to great effect, while "La Grande Isola" rises to some playful ARP synthesizer. The album is unique in the Italian canon, and it evokes a mood that is unmatched by any other group, foreign or otherwise. The album was released in 1976 on New Troll's Aldo and Vittorio De Scalzi's small Grog label, an offshoot of the Magma label. 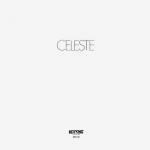 Celeste would record their next album that same year, cleverly titled Celeste II, but it was never released. The music was different, approaching something jazzy, with Lagorio's sax dominating. After stints in SNC and La Compagnia Digitale, Perrino would form the spacey St. Tropez with Battaglia in 1980; but, again, recordings would not see release until many years later. He did however release an excellent album of ethereal electronic music, Solare, in 1980 on the Caio label. Evidently solving the album release problem, Perrino co-founded (with Mauro Moroni) the important reissue label Mellow Records in 1991. 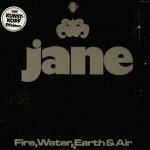 Hannover-based rock band Jane has a long history, dating back to the late 60s and a group called the J.P.'s (Justice of Peace). By 1971, the band centered around the heavy drums of Peter Panka, the swirling organ of Werner Nadolny and the solid tone of Klaus Hess's Gibson guitar. Their debut album Together was the second release on Bruno Wendel and Günter Körber's Brain Records, and carried a catalog number of 1002 (another Hanoverian recording, The Scorpions' Lonesome Crow, was 1001). While they had developed a signature sound, personnel changes with each subsequent release dogged the band, and it would take a few years for Jane to reach their high-water mark. And while it's easy to write them off as a kind of poor man's Pink Floyd, that would be a complete injustice to the band. Jane's formula is distinct: simple, stately themes delivered over a sluggish beat, with melodic lead guitar and very Floydian vocals. Then there were the lyrics. Between their non-native accents and unique "command" of English prose, Jane could be a little flustering for the native English speaker. However, the band redressed any misconstruction with their most cohesive and epic statement: Fire, Water, Earth & Air, recorded in late 1975. As the title track unfolds, Hess's lead guitar ramps up and lets out a flurry of melodic runs, before the band breaks to the hard-rocking groove of "Fire (You Give Me Some Sweet Lovin')." "Water (Keep On Rollin')" flows to Panka's rock-steady beat, which also is lock-grooved with Martin Hesse's bass. With washes of keyboards and Hess's growling guitar, the music produces a hypnotic, head-nodding vibe. The second side begins with the slow grind of the "Earth (Angel)," awash in Moog synthesizer. "Air (Superman)" contains a typical refrain and a classic lyric that sums up the entire album: "Superman cool again easy." 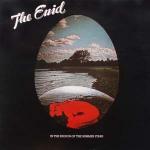 Led by Robert John Godfrey, The Enid was a uniquely progressive act that, despite having first appeared in the mid-70s, had staying power on through the late 80s. Godfrey first appeared on the timeline in 1969, overseeing orchestral duties for Barclay James Harvest. In 1974, he recorded a solo album for Charisma Records titled The Fall Of Hyperion. Godfrey met longtime guitarists Francis Lickerish and Stephen Stewart at Finchden Manor, a public school for troubled adolescents. The Enid's debut album, In The Region Of Summer Stars, is based on a Tarot sequence, and had the same provisional title as Steve Hackett's first solo album (also for Charisma). While the dueling guitars on "The Fool... ...The Falling Tower" and the heavy arrangement of "The Last Judgment" reveal a progressive sound, the instrumental album presents a more symphonic and playful approach, as the title track suggests. In fact, The Enid's second album, Aerie Faerie Nonsense, was nothing short of full-blown classical music, played—quite surprisingly—without an orchestra! Epic and cinematic, it's more like a movie soundtrack. The band then switched to Pye Records and released two more albums, with personnel changes on each: Touch Me came out in 1979, and Six Pieces the following year, before the band was dropped from the label and subsequently dissolved. After releasing a string of singles in the early 80s, Godfrey and Stewart reunited, releasing further albums under their own label, Enid Records. Following Peter Gabriel's departure from Genesis, the band searched for a new vocalist (short-listed were Mick Jones, Steve Gould and Bernie Frost), before ultimately realizing that they already had their man right behind the drum seat: Phil Collins. Of course, his voice, not that dissimilar from Gabriel's, had been heard plenty by now. That settled, the band entered the studio with the task of proving whether they could survive without their former frontman. Ensconced at Trident, Genesis brought in David Hentschel as producer; he had previously worked with the band as an assistant engineer on Nursery Cryme; the results here were so successful that Hentschel would man the recording desk for the band for the remainder of the decade. And that's what strikes first: A Trick Of The Tail sounds fantastic. Whether on the bass pedal-driven rocker like "Dance on a Volcano," the nimble "Robbery, Assault and Battery," or gentler romantic numbers like the 12-string guitar-based "Entangled" and "Ripples," the band shines through the crystal-clear production. Tony Banks takes the largess of writing credits, yet not without contributions from the others. It's songs like "Mad Man Moon" and the title track that give hint to the future: More narrative than before, Banks writing offers a much more lyrical approach. "Squonk" remains the album's highlight, with its theme again reprised on the closing "Los Endos." Both are testaments to the instrumental might of the group, which, of course, is why the band survived Gabriel's departure. The album surpassed all previous others in sales, reaching No. 3 in the UK and No. 31 in the US. The album's not-so-subtle change in direction would influence a generation of neo-progressive rockers who appeared in the UK during the 1980s. Former Yes and King Crimson drummer Bill Bruford would score a prog rock "hat trick" when hired to augment Genesis on their US tour later in the year. With Daevid Allen and Gilli Smyth in Majorca, the remaining members of Gong—Mike Howlett, Didier Malherbe and Pierre Moerlen—were left holding both the proverbial torch and a two-album contract with Virgin Records to fulfill. Tim Blake had already split to France to start his own solo career, while Steve Hillage would make a final guest appearance here. 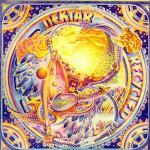 The band toured the UK in late 1975 with Clearlight, and live tapes reveal the full impact of the new members. The set list includes tracks from the Trilogy era and Hillage's Fish Rising album, as well as new material. With Pink Floyd's Nick Mason in the producer's chair, the album Shamal mixes up the old Gong formula: Gone are most traces of psychedelia, replaced with a modern jazz-rock; while the long, groove-driven jams are refitted with tight and sophisticated arrangements. 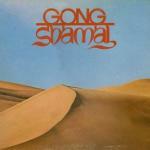 On "Wingful of Eyes" and "Shamal," Gong even add a little funk. Newcomers Mireille Bauer (tuned percussion), Patrice Lemoine (keyboards) and Jorge Pinchevsky (violin) provide the incentive for the change, though the additional instrumentality isn't wasted in pointless soloing. The album still retains novelty, avoiding most of the then-current fusion and, most importantly, the album never forgets that it's rock music. Even "Cat in Clark's Shoes" attempts to inject a little humor; lest we forget this is Gong! Unfortunately though, none of this would last, as the band divided over whether to include vocals or go purely instrumental. Howlett would put his bass down and turn to the production chair for a highly rewarding career; while Malherbe would last for one additional album before fronting his own excellent fusion band, Bloom. Pierre Moerlen was then left with the reins of Gong. 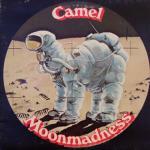 Camel's fourth record Moonmadness is generally regarded as one of their best efforts. After the success of The Snow Goose, the band undertook the daunting task of a follow-up. Written quickly between tours, the focus remained on the instrumental flair and songwriting of Pete Bardens and Andy Latimer. With Rhett Davies now manning production, the album opens with "Aristillus" (which should explain something about the US cover), a short track featuring Bardens's synthesizer work. "Song Within a Song" barely resurrects vocals, with Doug Ferguson taking the mic here. "Chord Changes" starts lively and then finds Camel back to playing the blues. Bardens's organ and Latimer's lead guitar exchange over a slow tempo that just so happens to sound a lot like Focus; but it's a welcome return to their earlier jam band feel, especially after the highly-arranged construct of their last album. But wait, "Spirit of the Water" sounds like a Snow Goose outtake (except with Bardens on vocals). "Another Night," also released as a single, highlights both the band's interplay (even the rhythm section gets into the foray) and Latimer's lyrical guitar work. It's a good example of Camel at their best. Latimer's flute features prominently on "Air Born," another well-arranged track that showcases the band's lighter, easy-going side. "Lunar Sea" is a fiercer workout, supported by a firm bass line from Ferguson, and even ventures towards jazz-rock. The album was their most successful chart-wise, reaching No. 15 in the UK and becoming a best-seller in the US. However, Ferguson left the band shortly thereafter. He would be replaced by Richard Sinclair, previously with Hatfield and the North. 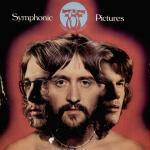 Drummer Jon Hiseman and bassist Mark Clarke initially auditioned Irish guitarist Gary Moore, formerly with Thin Lizzy, for a new version of Tempest. Clarke opted out for Natural Gas; and due to record company pressures, the band was rechristened to the more sales-worthy Colosseum II. 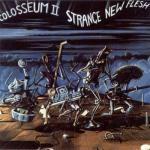 Featuring the talents of bassist Neil Murray, keyboardist Don Airey and guitarist Moore, and now veering away from heavy rock, Colosseum II would record a trio of perfectly serviceable fusion albums, with 1976's Strange New Flesh arriving first. "Dark Side of the Moog" kicks off their debut in fine fashion: a dark, heavy instrumental number, it exhibits all the strength one might expect from the lineup. Both Moore and Airey are virtuosos, and there's no shortage of their play. But from there, the remainder of the album takes a turn, by way of vocalist Mike Starrs. The Joni Mitchell cover "Down to You" features his high tenor, though it's the Airey-penned middle section that soars. "Gemini and Leo" offers a typical mid-70s funky groove, punctuated by Airey's keyboards and a convincing vocal from Starrs. "Secret Places" and "On Second Thoughts" occupy a place not far removed from Argent's contemporary work. The finale, "Winds," again provides ignition for the band's prowess, and in epic progressive form. Murray wouldn't last (he was off to National Health) and Starrs left for Lucifer's Friend. Bassist John Mole would join for the band's final two albums, both released in 1977, but all were remarkably unremarkable. The band (with Rod Argent) appeared en masse on Andrew Lloyd Webber's 1978 album Variations, a highly successful and curious combo of classical (Paganini's 24th caprice) and rock music. Following Moore's return to Thin Lizzy, the band split before a fourth album could be recorded. Airey would join Blackmore's Rainbow, while Mole would move to sessions and further work with Webber. Hiseman would leave the rock area behind, opting for his own studio and soundtrack work with wife Barbara Thompson. The success generated by the previous year's Free Hand and Gentle Giant's extensive touring to promote it instilled the band a considerable amount of pressure for the follow-up. They entered the studio in February, reputedly less prepared than they'd hoped; but what they delivered was something more straightforward and precise than any of their earlier efforts. 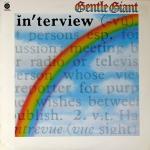 As the title indicates, the concept of Gentle Giant's eighth album is a mock interview with the band. The title track chops along under a huge organ riff, its lyrics offering a wry and jaded answer to questions they'd probably been asked a thousand times before. "Give it Back" is unique; its reggae rhythm is obviously a departure for the band, but it breaks into a great instrumental middle section that's more familiar. "Design" is the obligatory (and by now, tiring) a cappella track. The second side starts off with "Another Show," a straightforward rocker in typical Gentle Giant fashion. "Empty City" is a gorgeous song, layered with multi-tracked guitars and a beautiful synthesizer line. When asked by the interviewer (Sounds' Phil Sutcliffe), "What kind of music do you play then?" the Giant responds with "Timing:" a fitting track, it's chock-full of all the things one's come to love about their music. But the best is saved for last. Building up with a mélange of harpsichords and other keyboards that make their rounds underneath a gentle Minnear vocal, "I Lost My Head" erupts into another full-on rocker. Gentle Giant would again embark on a world tour in support of the album, documented on the exceptional Playing The Fool double-album, released the following year. However, the changing landscape of popular music would usher in a different course for the Giant. This would be the end of an era for the band. Camped in Rothenburg, Finkenbach, in the idyllic Odenwald mountains, Mani Neumeier had Guru Guru back in action in 1976 on the Brain label, and with a new lineup. Joining him was ex-Brainstorm multi-instrumentalist Roland Schaeffer, as well as guitarist Josef "Sepp" Jandrisits on guitar, and bassist Jogi Karpenkiel from Kollektiv—the two being holdovers from Neumeier's solo album. Kraan's Ingo Bischof and Karthago's Tommy Goldschmidt also came aboard, performing as guests for 1976's Tango Fango. "Tomorrow" opens brightly, with a fine and decidedly different vocal from Schaeffer. 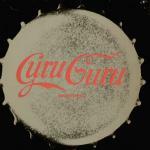 Here, Guru Guru is completely reinvented: Bouncing between rhythms that vary from calypso to bossanova, the compositions are far more focused and discrete than on past efforts, and offer a lighter-hearted fusion of sound. "Night Bear" provides a jazzier foundation, with Neumeier and Schaefer trading off vocals, before descending into a nice guitar vamp. "Banana Flip" opens the second side, offering a good-time Caribbean influence, while "L. Toro" goes for something a little deeper. The instrumental "Salto Mortadella" trots along, before the four-part "Das lebendige Radio" closes. It's a real pastiche of German gemütlichkeit, complete with yodeling, accordion and that weirdness that no Guru Guru album would be complete without, and ending with a Chuck Berry tune for good measure! From here, Neumeier would juggle Guru Guru through ever-revolving lineups well into the early 80s, and over musical terrain similar to Kraan or Frank Zappa-yet always original. Be sure to check out the excellent double-album Live, released in 1978, also on Brain. Guru Guru even managed to tour the US in 1979. Hoelderlin's third album was recorded less than a year after their second, and again consolidated their grasp of British prog rock. The band also experienced lineup changes: Hans Bäär (Hans Detlef Maahn) now replaced Peter Käseberg on bass, while Joachim Käseberg put down his guitar to concentrate on live sound—he was the first member to switch to the "business" side of the band. Guest Jörg-Peter "Büdi" Siebert, in a recurring role, added wind instruments. As the title suggests, the album is indeed divided into two halves. Side one, the "Clown" side, essentially consists of (more or less) songs-proper. The spiky clavinets of "Mad House" open, the track reminiscent of Genesis. As Joachim von Grumbkow's keyboard guides the track along, Nops Noppeney delivers an excellent vocal, with Siebert's sax rounding out the arrangement. Joachim then takes his turn at vocals on "Your Eyes," and his voice is more sympathetic to the elaborate yet delicate composition. Christian von Grumbkow's guitar is understated throughout the track (and indeed, the record), barely rising above Noppeney's violin at the end. The "Circus" suite has a more complex structure, though its many sections merge together effortlessly; Joachim's organ takes prominence as the band plays through the remarkably complex and melodic arrangement. 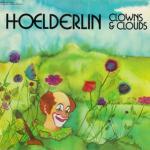 Side two, the "Cloud" side, offers a pair of compositions that are based more on atmosphere and instrumental improvisation, and more than exemplifies Hoelderlin's ability with long-form music. The simplicity of the Bäär-penned "Streaming" belies its effectiveness: Fluid and ethereal, it rides effortlessly on top of Michael Bruchmann's crisp drumming. The track then segues into the lengthy "Phasing." Guided by a gentle electric piano and violin, the main phrase swells over a hypnotic bass line as it approaches critical mass; with Siebert and Noppeney again soloing, it's transcendent. Clowns & Clouds remains as impressive and unpretentious a display of progressive rock as any in the timeline. Once again, the album was immaculately recorded and produced by Conny Plank, and released on the Spiegelei label. In addition to significant touring, the band recorded several concerts for German TV around this time. Rush were a Canadian trio who, in just a few short years, went from riff-laden heavy metal (read: Led Zeppelin-style) to British progressive rock (read: Yes-style). The band had an excellent and versatile guitarist in Alex Lifeson, while Geddy Lee was known for both his trebly bass and high-pitched vocals. Drummer par excellence Neil Peart, who joined for the band's second album, also provided lyrics for the band's music. 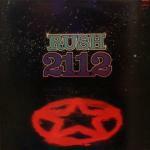 Their sound had steadily "progressed," both artistically and commercially, over a few albums, culminating here on 2112. 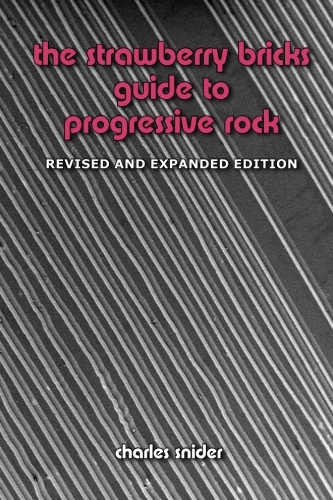 Based in part on the writings of Ayn Rand's novella Anthem, the album takes its title from the suite of songs that comprises the first side of the record. Of course, it isn't that different from "The Fountain of Lamneth" on the previous Caress Of Steel, just more refined. The opening movement "Overture" is a blistering run-through of Rush's brand of heavy rock. But as the band weaves its guitar-based rock through the suite's discrete sections offering a tale of a dystopian future, Rush certainly have more to offer than your average head bangers, both musically and intellectually. The second side kicks off with the ultimate hemp homage, "A Passage to Bangkok." Subject matter aside, it's a classic Rush song, combining their pop sensibility with a great melody-and that great oriental riff-in a heavy metal anthem. The closing "Something for Nothing" follows in the same mold. 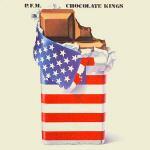 This album was their first commercial success, managing to reach No. 61 on the UK charts. Their US breakthrough took a little longer though, and was the result of continuous touring with the likes of Kiss and Aerosmith. The live double-album All The World's A Stage, released in the fall, rose to No. 40 in the US. 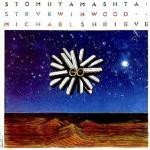 After wrapping up his East Wind fusion project, Stomu Yamash'ta next project would be the apex of his career. In 1976, he assembled a superstar lineup that included Steve Winwood, Klaus Schulze, Rosko Gee, Al Di Meola, Michael Shrieve and Pat Thrall (the latter from Automatic Man), and recorded Go for Island Records, with Dennis MacKay producing. The opening track's lush strings unfold to Winwood's ever-soulful voice on "Crossing the Line." It's certainly a prototype of the kind of music that would yield hit singles for the singer in the 80s. "Man of Leo" then gets funky, setting up a guitar solo from Di Meola, before bowing to the juxtaposing synthesizers on "Space Theme." The second side rises from the introductory electronics before erupting into "Carnival" and "Ghost Machine." Winwood's "Winner/Loser" closes—again, another potential single. Altogether, it was a forward-thinking attempt, blending the widest varieties of musical styles. But somehow it failed to impress, only rising to No. 60 on the US charts. A live album Go Live From Paris, recorded in June, was released the same year; it was an expanded version of the band's debut with each bandmate flexing his improvisational skills. The funky white soul of Go Too then followed in 1977, with ex-Bronco Jess Roden replacing Winwood. The album saw the addition of the Martyn Ford Orchestra and several female vocalists; and, curiously, featured Yamash'ta on Korg, Schulze on Moog and Peter Robinson on ARP, presenting a "trifecta" of synthesizers! However, that was it for Yamash'ta: Retiring from music, he returned to Japan to live in a Buddhist temple. He eventually resurfaced, releasing several new agey albums and soundtracks in the early to mid-80s. 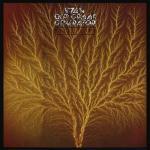 Van der Graaf Generator spent most of 1975 on the road, completing tours of both England and Europe. 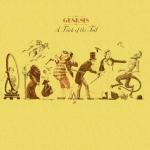 Then the band entered the studio in January 1976 for a few weeks to quickly complete Still Life, in what would be one of the band's most balanced and enduring records. It is a bit of an understatement to call Peter Hammill's prose here merely lyrics; he explores love, life and the meaning of it all with enough depth to sink a black hole; his powerful and direct vocal delivery is up front in the mix throughout the album. Of course, the music is perfectly suited: complex, engaging and, foremost, it never fails to rock. "Pilgrims" remains the anthem and "Still Life" the hymn; the band's forthright message is concisely delivered over Guy Evans's crisp drumming and Hugh Banton's shimmering organ. In fact, the album is a showcase for Banton's considerable talent and the organ's classic tone, here offered from the Hammond C3 with a Leslie cabinet. The opening notes of "La Rossa" belie the ferocity to come. VdGG literally blast through the song, one of their finest on record, monkey and all. "My Room (Waiting for Wonderland)" slows the pace, with Hammill retreating to a more sympathetic vocal, while "Childlike Faith in Childhood's End" remains a favorite of the band to this day. Like "La Rossa," it charges through its different movements, with the band trailblazing right to the end. VdGG played another John Peel Session after the album's release; but instead of immediately hopping on another tour, VdGG entered Rockfield Studios to record their third album in just over a year's time. 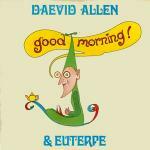 After leaving Gong in 1975, Daevid Allen, with Gilli Smyth and their children, moved into semi-retirement in Majorca-only to emerge a year or so later with the excellent Good Morning album for Virgin Records. Recorded with the Catalan group Euterpe, the record is primarily an acoustic affair, showcasing Allen's idiosyncratic songwriting. The band, featuring the acoustic guitars of Pepe Milan, the various keyboards of Toni Pascual and Ana Camps's high-soaring backing vocals, offers a gentle, Spanish-tinged and mostly acoustic backing to Allen's tunes. Compared to Gong, his lyrics are very straight-forward and down to earth; but equally as spiritual. Recorded on a couple of two-track Revox tape machines, it's mostly a lo-fi venture. The sleeper track is the Gong-like "Wise Man in Your Heart," recorded with Pierre Moerlen and Mike Howlett. Fueled by Moerlen's percussive riff, it has a massive groove, coated with Allen's patented glissando guitar. In 1977, Allen next released the similar Now Is The Happiest Time Of Your Life, this time for the Tapioca label in France, and Charly/Affinity in the UK. Much like his previous album, it again featured Milan, along with guests Sam Gopal and Victor Peraino, and the beautifully lamenting track "Poet for Sale." He then returned to England with Smyth in May 1977 and formed Planet Gong with the Here and Now band. Back in Deya, he helped assemble Smyth's first solo album, 1978's Mother. Allen then recorded a third album (with all songwriting attributed to Smyth), 1979's N'existe Pas, with Milan, Chris Cutler and George Bishop. He was at the end of his relationship with Smyth, and accordingly, it's a different record, best exemplified in the dark psychedelia of "Non God Will Not Go On." A pretext to his next set of albums, Allen would next head to New York City alone. 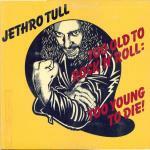 With ex-Carmen bassist John Glascock now on board, the interminably titled album, Too Old To Rock ‘n' Roll: Too Young To Die!, followed quickly after the last Tull record. Originally intended as a musical (I've heard that before), Ian Anderson wrote the album around the story of an aging greaser, Ray Lomas-perhaps regrettably, in retrospect, as most fans took the work as being autobiographical-especially considering the likeness of the comic illustration that adorned the gatefold sleeve. "Quizz Kidd" is a raucous opener, followed by "Crazed Institution:" both strict adherents to the now mostly static Tull song formula. Tracks like "Taxi Grab" and "Bad-Eyed and Loveless" have a bluesy feel to them (something absent for quite a few albums), while "Big Dipper" sounds not unlike a Led Zeppelin tune from the same period. Moreover, Martin Barre sounds particularly electric, with the Jimmy Page influence here undeniable. David Palmer's broad arrangements grace a few tracks, along with his first contributions as a performer. Anderson and company here offer some great songs, uniquely (and typically) Tull; but for whatever reason, the album just doesn't click. The title track was released as a single, but it too must have been too old to rock ‘n' roll, as it did not chart. The album was still successful though, reaching No. 25 in the UK and No. 14 in the US. Novalis were reduced to a quartet for their next album, Sommerabend. 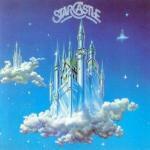 Produced by Achim Reichel, the symphonic record again bypasses the overt complexities of most prog rock of the day. Written by Lutz Rahn, the instrumental "Aufbruch" opens. After the spicy intro, Novalis' large, sweeping and melodic lines take over, propelled by Hartwig Biereichel's powerful drumming. Detlef Job's guitar is at the fore, and Rahn lays his hand on a few more keyboards. "Wunderschätze," written by Job, follows in the footsteps of the previous album, again using a text from Karl Friedrich von Hardenberg for its lyrics. The crowning achievement of the record though is the title track, which encompasses the entire second side. "Sommerabend" contains five discrete sections, ranging from the lightly melodic "Wetterleuchten" and pastoral "Am Strand" to the foot-stompin' "Ein Neuer Tag." Throughout, the sections seamlessly flow together and the band's execution is precise. The album and subsequent tour would be an artistic peak for the band. They then added a vocalist, Fred Mühlböck: an Austrian who made his debut on the 1977 live album Konzerte. 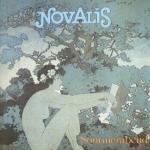 Novalis' music then moved into a more commercial realm on the ensuing Brandung, also released in 1977, which featured the popular track "Irgendwo, Irgendwann" ("Somewhere, Sometime"). It's easy going rock for the most part, with some creative instrumentation, such as the extended instrumental sections of "Sonnenwende" ("Solstice"). Rahn released a solo album, Solo Trip for Telefunken-Decca's Strand label in 1978. Performing the entire album on a battery of keyboards and rhythm machines, it's another formidable offering of Rahn's romantic music.